DigitasLBi global chief media officer Baba Shetty announced today he is leaving the agency to start his own company, Invisible Science. The new venture will be structured as a research and advisory firm, focused on programmatic marketing. It's slated to launch on June 1. Invisible Science, Shetty says, will operate as a subscription-based membership service and will provide objective, programmatic research for brand leaders. He hopes the company will fill a gap he sees in the marketplace, offering insights and advice for brands looking to find the best technologies for their businesses. "About a year ago we had a very smart and sophisticated client, but this client had a massive frustration with specific tech solutions in marketing," Shetty told Adweek. The client equated purchasing a certain tech solution with having bought a lemon. "It kind of brings up the question, why do clients need to put themselves in a position that requires that kind of heroic action after the fact? Why not [create] a service that provides the right context and guidance, proactively? That's what Invisible Science is all about," he added. 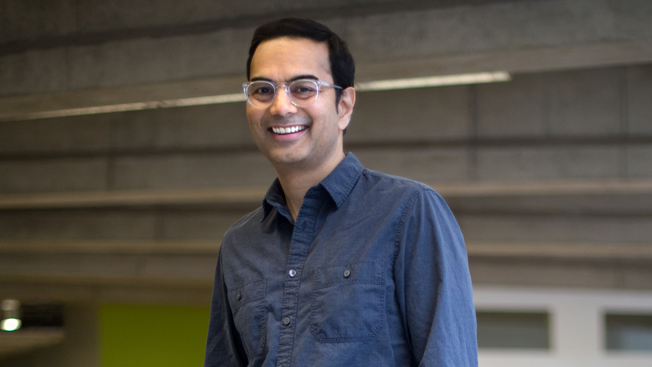 Shetty drew inspiration for the company's business model from medicine, which he says is another industry plagued with too many studies and data to sift through. With roughly 3,500 tech vendor companies available to marketers, and hundreds of them with something valuable to offer, Shetty said the industry needs someone or something that can sift through those companies and find the best ones for a marketer. The name comes from the idea that extraordinary brands connect with the world through two means: visible art and invisible science. The visible art part, which Shetty says is well understood by brands, represents the visual identity of the brand, the logo, the creative work. Brands need help with the invisible science component, the application of data, technology and empirical thinking. "The simple question that brands need to ask themselves is this: Can your brand make a value creating decision about an individual human being at a given moment in time?" he said. That's where the programmatic component of the business comes in, and it's a key focus for Invisible Science as it gets going. Shetty brings 25-plus years of experience to his new gig. Prior to joining Digitas in 2013, Shetty spent a year at Newsweek. He started his career on the client side at BMW, jumped to Forrester Research and eventually landed agency side at both Fallon Worldwide and Hill Holliday. Over the years, he's picked up on some major client frustrations, especially as it pertains to new technology. "I just started to see some common themes that started to repeat themselves in a lot of different conversations with clients," Shetty said. "It's all around a sense of confusion and anxiety about, are we getting the intersection of marketing and technology right? What we are trying to do is create indispensable guidance for the modern marketer." While Shetty has already built his founding team, many will be exiting their current roles in the coming weeks, so he was unable to disclose any names at this time.